The first New Zealand Teva Slopestyle is in the books and Aussie Benny Phillips took home the three grand prize money for first place! Conor Macfarlane took second, Elmo Cotter third, Lewis Jones fourth and Kelly McGarry rounded out the podium in fifth. We have a full video edit coming soon and I'll post up a few more shots tomorrow. In the mean time this is what you get. Full Teva Slopestyle vid is up!!! 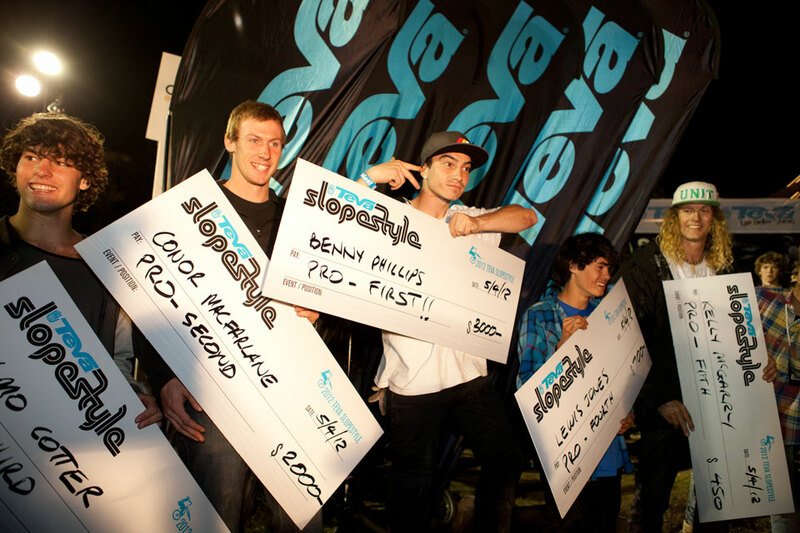 Queenstown's Teva Slopestyle gains Silver FMBA status!